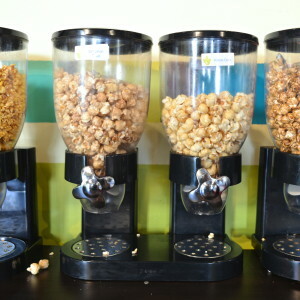 In my first piece of hard-hitting investigative blogging journalism, I bring you the answer to a question that’s been on everyone’s mind – Is the popcorn at Alamo Drafthouse Cinema vegan? The short answer is: yes (if you order it without butter, obviously). In a series of emails back and forth with Alamo Drafthouse management (thanks Brian! 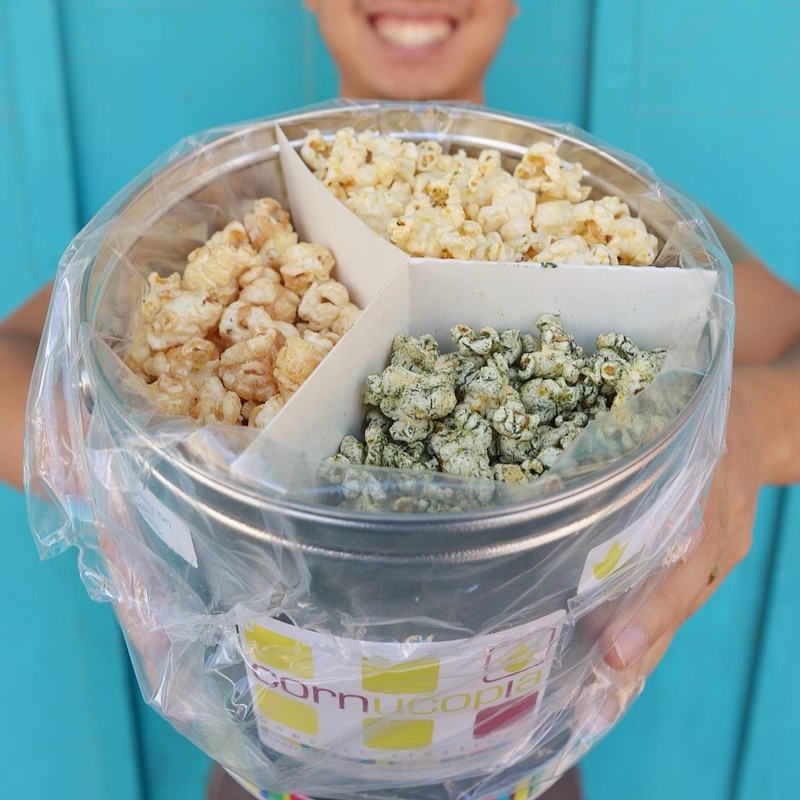 ), I received a response that the popcorn is indeed vegan. 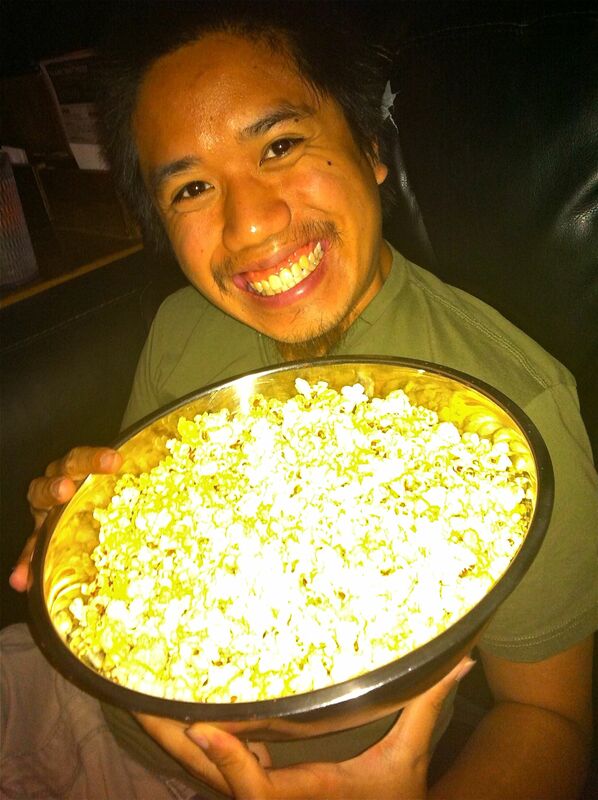 A little while later, it was brought to my attention that someone at Alamo (not Brian) had said that the popcorn is not vegan. This conflict in information led me to dig deeper. 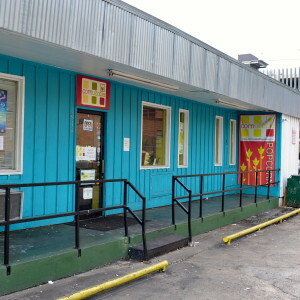 I started by contacting Alamo again to determine exactly what was going into the popcorn and got this response: “Procedure is: turn on the popper, put in a scoop of oil, when it gets hot dump a cup of popping corn and a little scoop of Flavacol brand popcorn seasoning in and voila, popcorn.” I quickly realized that the root of the conflicting information was probably the Flavacol butter flavored salt. Flavacol only lists artificial flavors on its packaging, and many online sources listed it as a vegan product, but I wanted to go one step further to solidify my investigative reporter status. 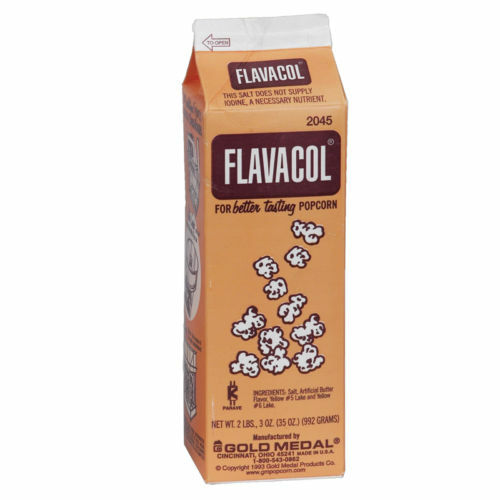 I wrote to Gold Medal, the makers of Flavacol, and received this response: “The Flavacol popcorn seasoning salt is Vegan friendly – containing no animal and/or derivatives of animal products. 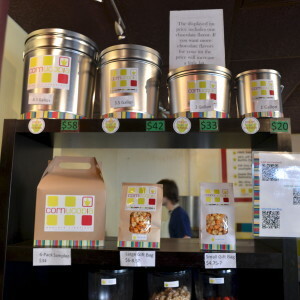 However, we are not Vegan certified.” Whatever the heck ‘Vegan certified’ means, I don’t know, but I am fairly confident now that the popcorn at Alamo Drafthouse is indeed vegan. I was super stoked to learn about all of these options and I hope you are too! I was also told that the vegan staff member suggested they add Daiya as an option for their pizzas – which I wholeheartedly agree with! I did have a couple follow up questions, including if there was butter on the bread that came with the spaghetti squash (they said it was only oil), and if the reason the fries didn’t make the list was because they didn’t have a dedicated veg fryer (turns out they don’t, but they are looking into it). This list is specific to the Alamo Drafthouse Village location, but all Alamo Drafthouse locations maintain a set menu, so while you should always double check to make sure that another kitchen doesn’t do things a little differently, this list is a great starting point.